We’d love your help. Let us know what’s wrong with this preview of La danza de los lobos y otros relatos de los indios kwakiutl by Edward S. Curtis. 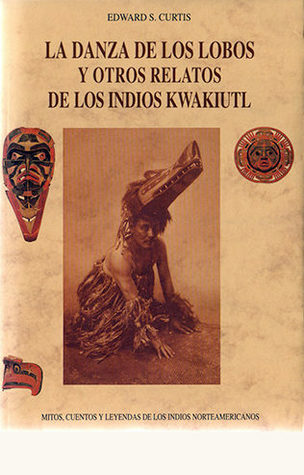 Extraños personajes y animales protagonizan estos relatos representativos de la peculiar cultura de los indios kwakiutl, en el marco áspero y misterioso de la costa norte del Pacífico. Los kwakiutl habitaban en la costa del Pacífico, en el Noroeste de los Estados Unidos. Eran una de las tribus costeras más importantes. Sus ceremonias eran sumamente complejas y espectaculare Extraños personajes y animales protagonizan estos relatos representativos de la peculiar cultura de los indios kwakiutl, en el marco áspero y misterioso de la costa norte del Pacífico. To ask other readers questions about La danza de los lobos y otros relatos de los indios kwakiutl, please sign up. From 1896 to 1930, Edward Curtis traveled throughout the Indian territories of the United States, making a vivid record of the North American Indian peoples and their vanishing way of life. Ironically, J. P. Morgan provided the funding for this monumental project. Once Curtis had secured funding, he hired several people to help him with logistics, fieldwork, and the recording of Native American languages, including a journalist and an anthropologist employed by the Smithsonian. Over a period of th From 1896 to 1930, Edward Curtis traveled throughout the Indian territories of the United States, making a vivid record of the North American Indian peoples and their vanishing way of life. Ironically, J. P. Morgan provided the funding for this monumental project. Over a period of thirty-plus years, Curtis made thousands of wax cylinder recordings of Indian languages and music, and took thousands of photographs from over 80 tribes, ranging from the American Southwest (Apache, Navaho, and Hopi tribes) to the Pacific Northwest (Salish peoples) and the Northern Great Plains (Assiniboine peoples). For this Aperture book, 95 photographs, with accompanying texts, were selected from the extensive archives. If you want to behold the character and history of Native American peoples, then look no further than this book. Si te gustan las pelis de indios y vaqueros o si te gusta la fotografía debes conocer la obra de Edward Curtis. Es fácil que cualquier foto de indios que recuerdes la tomase en su momento este fotógrafo. El libro que Taschen nos ofrece es un resumen de las fotografías tomadas por Curtis para la extensa enciclopedia que dedico a los indios de Norteamérica y que constituyo la obra de toda su vida. 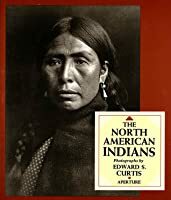 La calidad del libro es excepcional para el precio que tiene y si se le puede achacar algo es la falta Si te gustan las pelis de indios y vaqueros o si te gusta la fotografía debes conocer la obra de Edward Curtis. Es fácil que cualquier foto de indios que recuerdes la tomase en su momento este fotógrafo. The size and clairity of the pictures was nice, but the Indian quotes included seemed random. I wish that there had been some of the Curtis commentary included. Beginning in 1900 and continuing over the next thirty years, Edward Sheriff Curtis, or the “Shadow Catcher” as he was later called by some of the tribes, took over 40,000 images and recorded rare ethnographic information from over eighty American Indian tribal groups, ranging from the Eskimo or Inuit people of the far north to the Hopi people of the Southwest. He captured the likeness of many impo Beginning in 1900 and continuing over the next thirty years, Edward Sheriff Curtis, or the “Shadow Catcher” as he was later called by some of the tribes, took over 40,000 images and recorded rare ethnographic information from over eighty American Indian tribal groups, ranging from the Eskimo or Inuit people of the far north to the Hopi people of the Southwest. He captured the likeness of many important and well-known Indian people of that time, including Geronimo, Chief Joseph, Red Cloud, Medicine Crow and others. This monumental accomplishment is comprised of more than 2,200 sepia toned photogravures bound in twenty volumes of written information and small images and twenty portfolios of larger artistic representations. Edward S. Curtis was born near Whitewater, Wisconsin in 1868. His father, a Civil War veteran and a Reverend, moved the family to Minnesota, where Edward became interested in photography and soon constructed his own camera and learned how to process the prints. At the age of seventeen he became an apprentice photographer in St. Paul. The family moved near Seattle, Washington, where Edward purchased a second camera and bought a half interest in a photographic studio. He married and the couple had four children. In 1898 while photographing on Mt. Rainier, Curtis encountered a group of prominent scientists who were lost, among them George Bird Grinnell, a noted Indian expert, who became interested in Curtis’ work and invited him to photograph the Blackfeet Indian people in Montana two years later. It was there that Curtis practiced and developed his photographic skills and project methodology that would guide his lifetime of work among the other Indian tribes. Such a massive project is almost incomprehensible in this day and age. In addition to the constant struggle for financing, Curtis required the cooperation of the weather, vehicles, mechanical equipment, skilled technicians, scholars and researchers and the Indian tribes as well. He dispatched assistants to make tribal visits months in advance. With the proper arrangements Curtis would travel by horseback or horse drawn wagon over paths or primitive “roads” to visit the tribes in their home territory. Once on site Curtis and his assistants would start work by interviewed the people and then photographing them either outside, in a structure, or inside his studio tent with an adjustable skylight. Employing these and other techniques over his lifetime he captured some of the most beautiful images of the Indian people ever recorded. One of Curtis’ major goals was to record as much of the people’s way of traditional life as possible. Not content to deal only with the present population, and their arts and industries, he recognized that the present is a result of the past, and the past dimension must be included, as well. Guided by this concept, Curtis made 10,000 wax cylinder recordings of Indian language and music. In addition he took over 40,000 images from over 80 tribes, recorded tribal mythologies and history, and described tribal population, traditional foods, dwellings, clothing, games, ceremonies, burial customs, biographical sketches and other primary source information: all from a living as well as past tradition. Extending the same principle to the photographs, he presented his subjects in a traditional way whenever possible and even supplied a bit of the proper clothing when his subjects had none. Reenactments of battles, moving camp, ceremonies and other past activities were also photographed. These efforts provided extended pleasure to the elders and preserve a rare view of the earlier ways of the people.